With the average small business now spending $75,000 a year on their digital marketing campaigns, it’s important to find ways to optimize those dollars. Knowing a few SEO fundamentals is a great way to save money and make an impact on search engines. 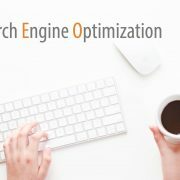 The great thing about search engine optimization is that it’s the lowest amount of money you’ll be spending to promote your business. Here are 6 fundamentals of SEO that you and your company need to be using ASAP. When people are using a search engine, they’re looking for one of two things. They’re either looking for the answer to a specific question or they’re looking for a specific product. Your blog can capture both audiences by offering answers to questions where your products are named as the solution. A blog also allows you to have constantly updated content on your URL. The more content you offer and the more frequently you offer it, the higher your search result ranking will be. Blogs also allow you to get listed multiple times on a single search result page, building up your profile in a big way. Starting a blog is a cheap and inexpensive way to always be offering new content to your audience. 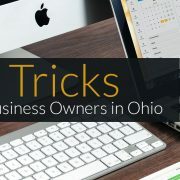 It’s a great way to offer tips on how to use your products or to give them new ways to engage with your services. If you’re not already running a blog, you should consider starting one today. Your blog needs to be optimized to ensure that you’re getting high-quality traffic and keeping it. You need your content to help build your brand authority with each post and to reinforce the quality of the content. One of the best ways to show off your brand authority and tell your audience that you know what you’re talking about is to use lots of high-quality links. All of your posts should use facts an figures relevant to your industry from reputable news sites and industry relevant publications. You should also comb through your links with a broken link checker whenever possible. Finding broken links and fixing them can keep you from losing marks from search engines. 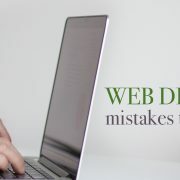 Search engines want to show off well-tended websites rather than ones that have overgrown with weeds that come with broken links. Search engines know that people want to find businesses that are close to them. When you search for “pizza”, you’re likely to get nearby pizza shops. 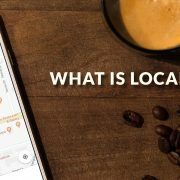 That’s because pizza shops will have added important local keywords. Add high-quality keywords to your metadata that tell your audience what you have to offer. Rather than just writing “pizza shop pepperoni”, write something like “chicago southside deep dish pizza” as relevant to your company. The more geographically relevant terms you add, the better your ranking will be. In the next few years, video will account for more than 80% of all traffic on the internet. That means that if you don’t have video on your site and aren’t creating any video content, you’re going to fall behind. The more video content you host on your site and post from your company, the better your engagement will be. When you write videos, create subtitle tracks to go along with them. This way, when they’re posted on social media feeds, people will get an idea as to what they’re about before they stop and watch. 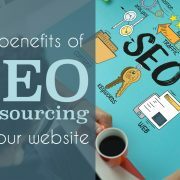 Subtitles also offer an additional advantage in SEO. Subtitle tracks that are embedded in video files or hosted by sites like YouTube are actually searchable. If your video scripts use your most important keywords, you’ll be giving search engines yet another way to find you and lead audiences to you. The more videos you create, the better your impact is sure to be on audiences. You can create live videos on Facebook, post Instagram stories, or script things for YouTube. It doesn’t really matter what site you use the most, so long as you’re posting a lot of content. Your images should also be optimized whenever possible. The images on your site can contain metadata information that is important to your audience. 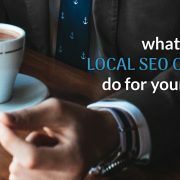 That data can mention those local keywords as well as the terms that are important to your industry. Make sure that your images load quickly and easily. Resize images so that they fit your site without having to be resized by browsers. That’s a slow and resource hungry way to load images and can slow down your click rates. Make sure all of your posts have images with them. Text only posts get lower engagement. All of your images should be relevant to the content on your site. When they give a clue as to what the reader can expect, they’ll have a better impact. Guest posts are a great way to expand your site’s audience beyond the one you already have. When you get a reputable author, blogger, or business owner from within your industry to write for you, they’ll bring their audience along. They’ll also bring their brand authority along with them. When you have reputable links and clicks from reputable sites, your profile will be sure to rise. A website that is connected to other sites across the web shows that it has some authority and importance in and industry. Search engines will pay attention. Work with other companies and brands in your industry and see that they’ll cross-post with you. If you’re a yoga studio, you might want to talk about products made locally that you like. If you’re in the legal industry, share posts and links with a bail bonds company that you can recommend. The wider you spread your influence across the internet and across your industry, the better you’ll rank in the future. Search engines rank websites based on lots of obscure information and data. One of the hardest for newbies to understand is load times and site speed. This doesn’t always depend on you. 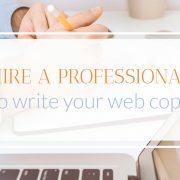 Sometimes it depends on the company you choose to host your site. If your hosting site is located overseas or doesn’t put attention into the companies they’re willing to host, you could be in trouble. Shared server space with another company could be a huge cost-saving effort. The only problem is that if the site you share an IP address with could be a spam site that’s filled with garbage and gets flagged by search engines. Once one site on an IP address is flagged, the other sites risk being flagged. Hire a good hosting company to offer you consistent speeds and secure server space. You should also ensure that all of your media is optimized. If your images and video load too slowly, you could be slowing load times, which will cause visitors to bounce away. Search engines will take notice and lower your ranking. Take advantage of all of the business directories now available online. If you haven’t claimed your listings on Yelp, Google My Business, and Yahoo Local, you’re missing lots of opportunities to appear in search results. You might find that there are listings for your business on these directories that you haven’t created yourself. That means that some nice or angry customer put up a listing on your behalf. it could contain incorrect information about your location, an outdated phone number, or even could have your name spelled incorrectly. Once one directory gets ahold of your information, it’s likely that other directories will buy that information and start reposting bad information. Once bad information about you gets out there, it’s hard to fight it. If you’re lucky enough to post your information before anyone else does, you need to make sure it looks exactly the same across every channel. Your logo needs to look identical and all of your contact information needs to match. You need to be wherever your clients could be and make sure that you look good on each listing. One bad review can make a huge difference in how people perceive you. You’ll need to get your best and most loyal customers to post reviews. Ask them in your emails and even offer discounts in store or on site when they show you they’ve posted a review about you. You’ll start seeing some fantastic results when it comes to your search engine rankings as soon s you start implementing some of these SEO fundamentals. Not only will you come up higher in search results, but you’ll also be able to capture higher quality visitors. You’ll see engagement increase and the amount of time people spend on your site go up drastically. 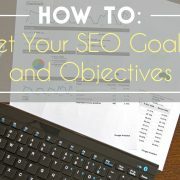 Once you’ve implemented better SEO tactics, use these tricks to measure just how good you’re doing compared to competitors.